BioShock Infinite is not, in fact, infinite. False advertising if you ask me. But you should go see what the experts at Play Board Games thought of it as well. 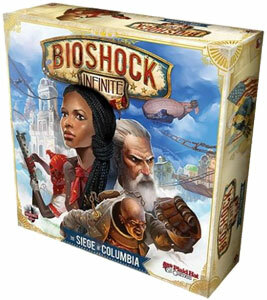 BioShock Infinite: The Siege of Columbia places you in the role of one of two factions warring over a floating city. You must score 10 VPs first to win. But look out for Booker he might put a kink in your plans.